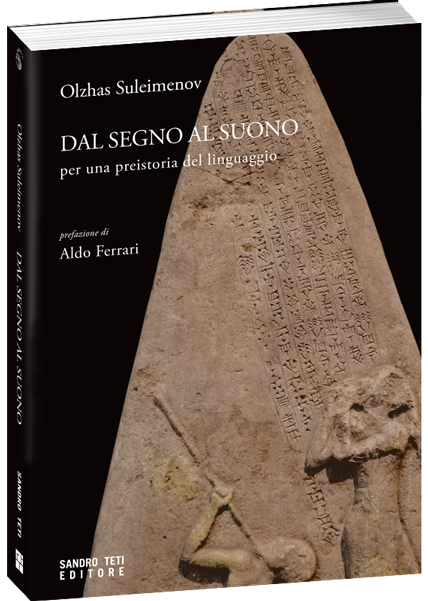 BOOK: From a sign to a sound is a trip to the prehistory of words in search of their origin and creation. The pages of the book, as if it were a novel, deal with the similarity and affinity between signs and sounds witnessed on the basis of a linguistic “investigation”. The book is far from a Europe-focused insighit into the language development and the author, a Russian-speaking Kazakhinvites invites his readers to reconsider the traditional linguistic theories. The results of it are the following: an ambitious endeavor to reproduce the mankind’s cultural history using the example of Eurasia and a hostory of language which is unique and original. AUTHOR: Olzhas Suleimenov is a Kazakh writer, poet, politician and diplomat. He was born in 1936 in Almaty. In the eighties he becomes famous in the whole Soviet Union thanks to the commercial success of his book AS I A (“Asia” which sounds in Russian like “Az and I”). His popularity grows when he founds an ecological movement struggling to have the proving ground closed in Semipalatimsk where the Soviet atomic weapons were tested. When Kazakhstan gains independence, Suleimenov becomes ambassador first in Rome, then in Paris, at the office of the UNESCO Organization. He is the author of numerous publications and the “Culture” Foundation President.